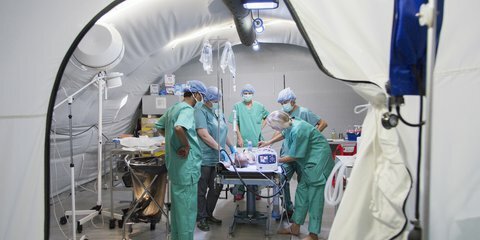 Our international delegates provide humanitarian assistance and development by saving lives, alleviating suffering, and maintaining human dignity. 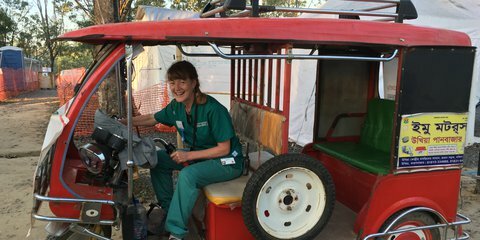 International delegate Rebecca Barrell examines an X-ray in South Sudan. Our delegates are stationed overseas to provide humanitarian assistance, through their technical expertise. We are one of a number of Red Cross Red Crescent national societies globally that recruit and train delegates for international Red Cross humanitarian and development field operations. Our delegates are stationed overseas to provide humanitarian and development assistance, through their technical expertise. 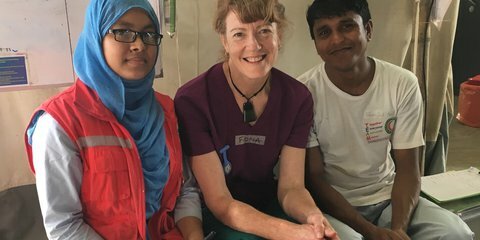 They directly contribute to saving lives, alleviating suffering and maintaining human dignity on the front-line. We prioritise which Red Cross field assignments our delegates are put forward for, with the first priority being meeting the needs of our Pacific neighbours. Beyond the Pacific our focus is placed on meeting needs in situations of violence, armed conflict and complex emergencies. Find out more about becoming a delegate. The New Zealand Government has supported our international delegate programme since the 1990's. Currently 50% of the programme is funded through the Ministry of Foreign Affairs and Trade Aid programme. The Florence Nightingale Medal is the highest Red Cross honour, awarded to nurses that demonstrate exceptional courage and devotion to victims of armed conflict or natural disaster. It also recognises exemplary service and pioneering spirit in the areas of public health and nursing.